Our skilled nursing staff are committed to enhancing the lives of our residents, whether they need short-term rehabilitation, traditional long-term support or specialized care. 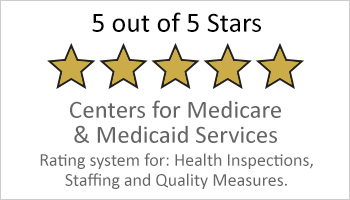 Our Center’s 24-hour skilled nursing care is provided by a committed team of staff whose goal is to provide personalized treatment plans to meet the unique needs of the individual. Our Center for Short-term Rehabilitation at Laurel Ridge acts as a bridge to a successful recovery. Our focus is to ensure that recuperation will be as smooth as possible and get you ready for home. This is evident by our devoted nursing staff, rehab therapists and discharge planning services. Each of our interdisciplinary care team members is committed to meeting the individual needs and goals of our patients and help you feel your strongest after surgery or a hospital stay. Our true, dedicated memory care unit is designed specifically for seniors living with Alzheimer’s and related dementias. 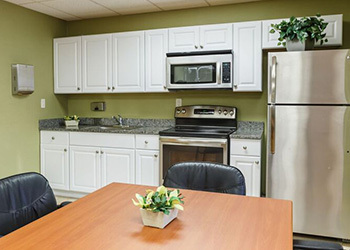 Our secure unit offers specialized programming and person-centered care to promote the highest possible quality of life and help residents live with the dignity and respect they deserve. In response to the needs of the community we serve we are pleased to announce our Hispanic and Latino Welcome Program. Our Center’s goal is to provide our Spanish-speaking patients and their families a comfortable care environment whether their stay is for short-term rehabilitation or long-term care. A positive and uplifting atmosphere is vital to the success of healing, recovery, and rehabilitation. Laurel Ridge Rehabilitation and Skilled Care Center employs outgoing and friendly professional staff to create social programs and activities to fit the residents’ needs. We provide a monthly activity calendar to each resident to keep them informed of upcoming events. Friends and family are always welcome to visit and attend our special events.